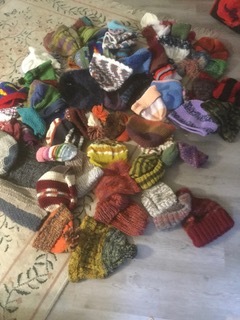 Many thanks to our volunteers for all their knitting. 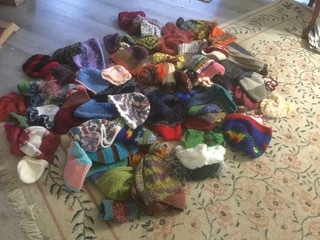 Out latest batches were delivered in December with 40 hats going to Covenant House and 25 to Directions Youth Services. The Women’s Work show at the Italian Cultural Centre (3075 Slocan) features work by Anni, Catherine, Helen and other artists. Each artist was given an Italian Renaissance painting to interpret in her style. Show runs until December 30.